A-HOTEL.com - Luxury and cheap accommodation in Ryshkovo, Russia. Prices and hotel, apartment booking in Ryshkovo and surrounding. Surrounded by pine trees, this quietly located hotel is a 10-minute drive from Kursk city centre. It offers free Wi-Fi, an indoor pool and a daily breakfast buffet. Providing free WiFi, Cosa Nostra is set in Kursk. Guests can enjoy city views. Apartment Olivia is set in Kursk. This apartment features free shuttle service and free WiFi. Situated a 2-minute walk from KZTZ Park in Kursk, Forsazh Hotel features a sauna and free WiFi. The rooms offer air conditioning and flat-screen TV with cable channels. A free fitness centre and a Finnish sauna as well as an elegant restaurant serving European cuisine are all featured at the Aurora Hotel. It is located a 10-minute drive from Kursk city centre. Featuring a garden, Апартаменты- студия на Дружининской provides accommodation in Kursk with free WiFi and garden views. This apartment offers a terrace. Apartments on Klykova 80 is located in Kursk and offers a garden, a terrace and a bar. Guests staying at this apartment have access to free WiFi. Set in Kursk, Квартира 2-к Проспект Клыкова provides accommodation with a balcony and free WiFi. Guests staying at this apartment have access to a fully equipped kitchen. Featuring a garden and a bar, Apartment on Druzhininskaya provides accommodation in Kursk with free WiFi and sea views. This apartment offers air-conditioned accommodation with a balcony. Featuring a shared lounge and bar, as well as a restaurant, Gostinitsa Belaya Akatsiya is located in Kursk. Free WiFi and a 24-hour front desk are offered. 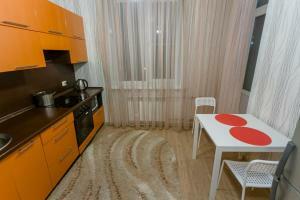 Offering free WiFi and garden views, ApartamentyKlykova70 is an accommodation situated in Kursk. The property has city views. Situated in Kursk, Hotel Dinastiya offers 4-star accommodation with a fitness centre and a garden. Among the facilities of this property are a restaurant, a 24-hour front desk and room service, along with free WiFi. Квартира 1-к Проспект Клыкова is set in Kursk. Guests staying at this apartment have access to a fully equipped kitchen. Offering free WiFi and city views, Apartment on Sovetskaya is an accommodation located in Kursk. This apartment provides accommodation with a balcony. Boasting accommodation with a balcony, Apartment on Vyacheslava Klykova is located in Kursk. Guests staying at this apartment have access to free WiFi. Situated in Kursk in the Kursk region, Apartment on Vyacheslava Klykova features a balcony. Featuring garden views, this apartment also provides guests with free WiFi. Set in Kursk in the Kursk region, Клыкова.58-555 has a balcony. Set in Kursk, NevSky Hotel provides air-conditioned rooms with free WiFi. Featuring a 24-hour front desk, this property also provides guests with a restaurant.